A prudent financial worldview can be summed up best in one word: balance. In other words, as stewards of God’s wealth, no matter how great or small our personal wealth may be, operating with a sense of balance is a best practice. In the mid-1980s, shortly after entering the wealth management field, I had a bank trust client named Velma whose husband was gravely ill. Sitting on the edge of his bed, I helped guide his signature on a stack of stock powers to fund his trust. He died that evening. 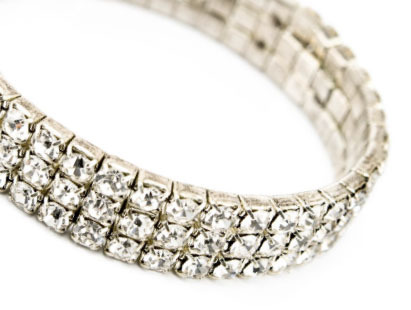 After some time passed, Velma came to my office and proudly showed me the new diamond tennis bracelet she had just purchased for herself. As we talked, she lamented that her husband was always worried they would need long-term medical care and medical expenses would consume their wealth. She confided that she asked him time and again to splurge a little on a trip or cruise, but his anxiety prevented it. She said, “Now I have all this money and no one to enjoy it with. If you can learn one thing from me, enjoy yourself and don’t live with only tomorrow in mind.” Her words of experience spoke to me personally and to my students over the years. I spent 14 years serving on the adjunct faculty of two small universities, teaching finance, investments and other related business courses. In my investment and personal finance courses I usually began by asking, “What is your ‘financial philosophy’?” In other words, what is your financial worldview, or the lens through which you make financial decisions? I gave my students three options: a) He who dies with the most toys wins; b) A penny saved is a penny earned; c) Make a lot, give a lot away. Depending on the worldview/philosophy, two individuals beginning with the same financial resources can end up in very different places. Velma lived a life of “a penny saved” and lamented that she and her husband could have afforded to enjoy a few toys, but didn’t. Years later I counseled a client who had the opposite view. He wanted to retire within five years, but he owed so much money on the toys he had purchased that he couldn’t. He wouldn’t be able to enjoy the freedom of an unstructured lifestyle as soon as he hoped because of debt. Common sense tells us we need to meet our current obligations before future ones. However, if we spend every day focusing on current needs, the future will soon catch up with us. Balance is the best way to manage both. We may not find ourselves in the same circumstances as Velma or the spendthrift executive, but we all have been given a share of God’s wealth to steward appropriately. When we begin with balance, we can end up where we want to be while enjoying the ride along the way. Author Biography: At the time of writing, Craig Kuhlman was an executive vice president and chief trust officer for a financial institution with more than 30 years of financial counseling experience with bank and investment clients.